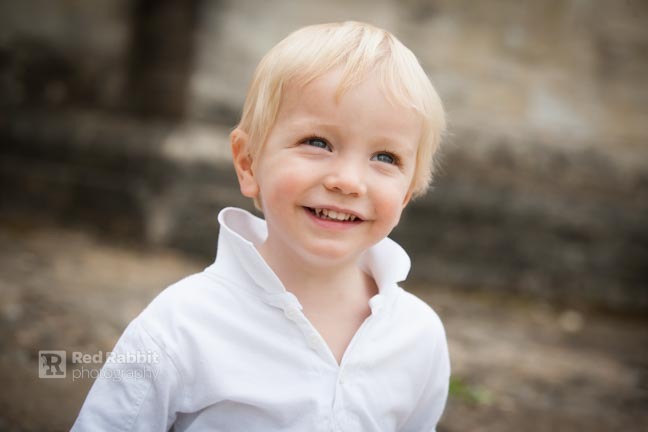 It was a lovely sunny morning when I met the wonderful Baldie family for their family portrait photography session at Barton Farm and the Tithe Barn in Bradford on Avon, Wiltshire. 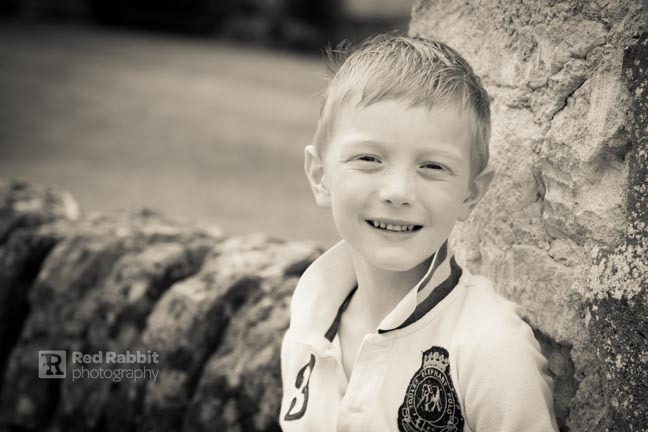 For every family photography shoot I try to chat through with the family what they would like and to try and get to know them all before we start to take any photographs. 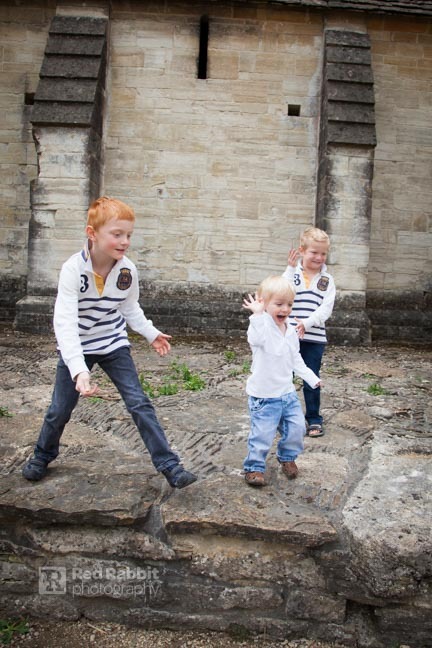 The Baldies were great fun and the three boys had lots of energy and seemed very excited by the prospect of being photographed! 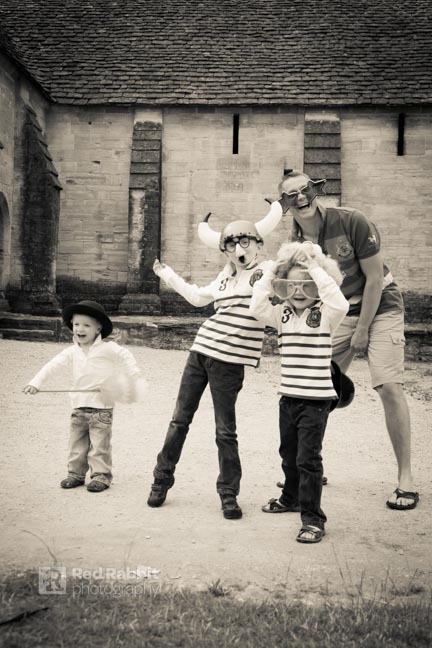 They were also interested in my props, as I normally bring puppets and a tickle stick ( which is really a feather duster) to try and get some laughing photographs! 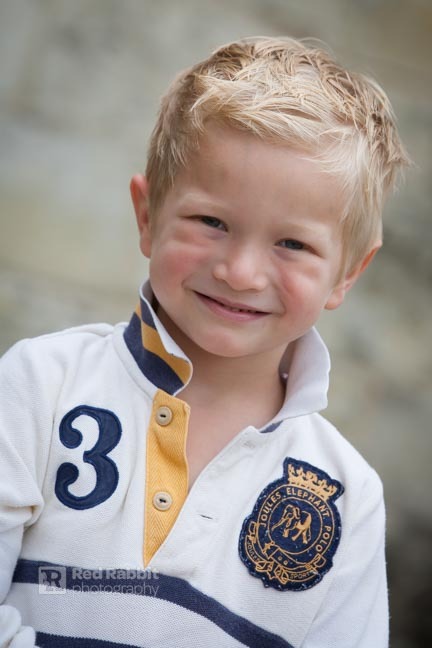 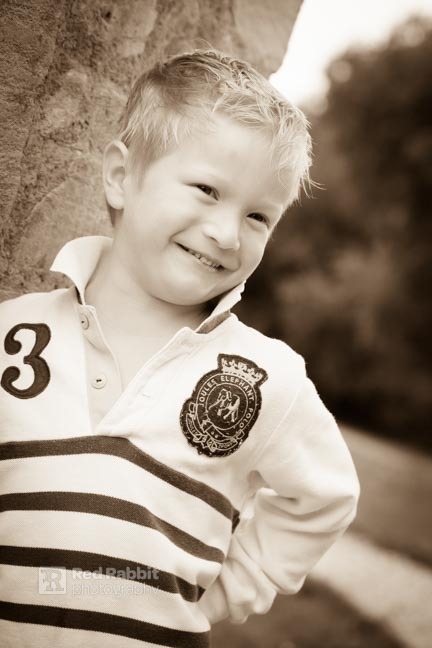 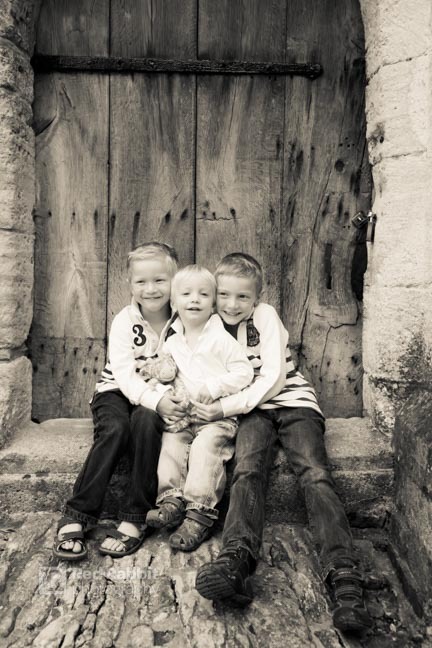 We started by doing some photographs of the three boys together. 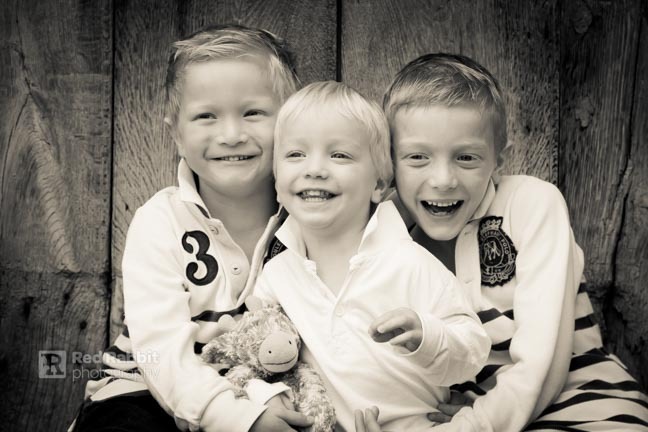 Jack 7, Will 5 and Harry 2 were very well behaved and with the help of Mum and Dad doing silly faces behind my back I was able to get some fab expressions and very natural laughter. 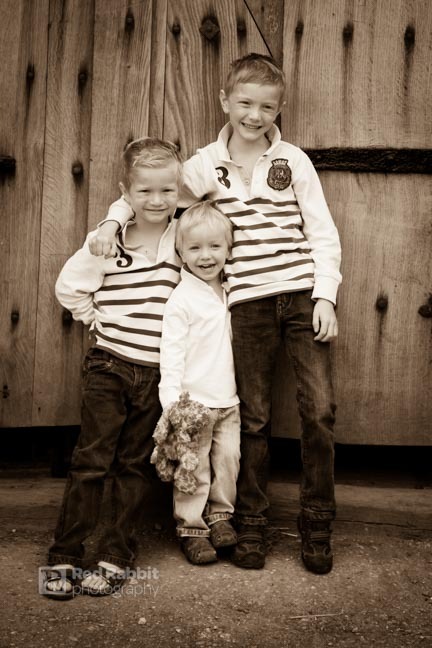 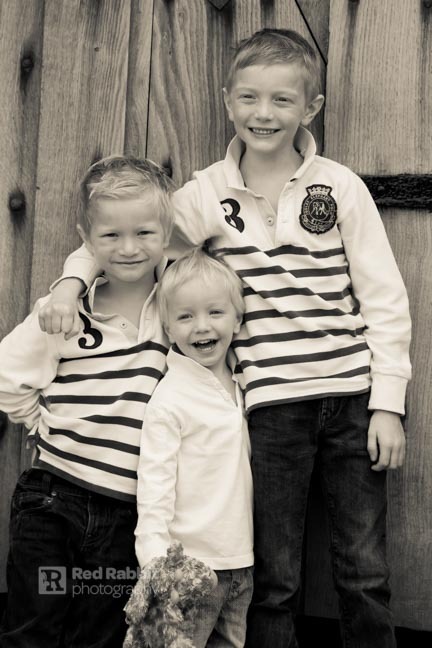 All three boys were very relaxed in front of the camera with the youngest Harry being very giggly. 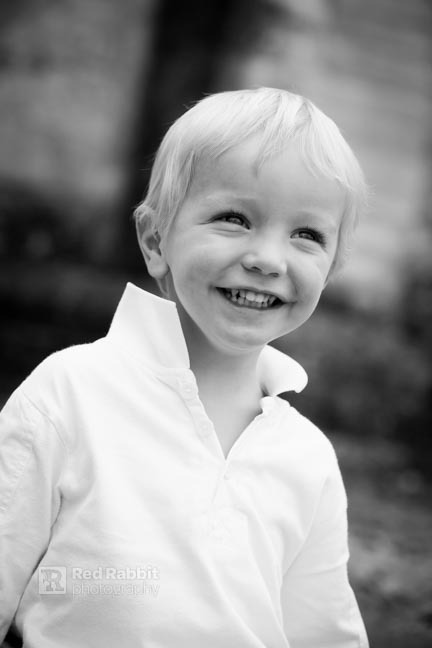 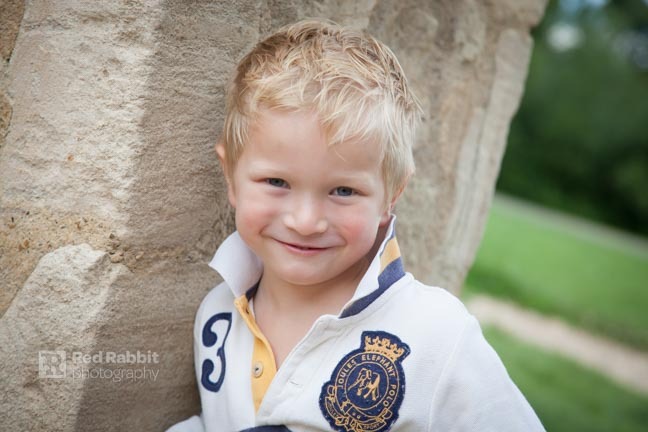 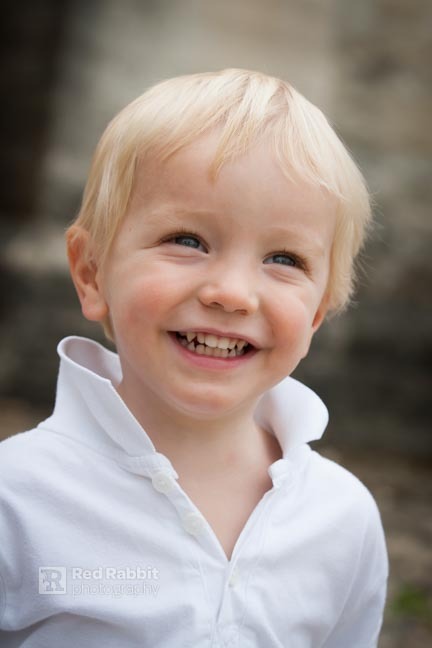 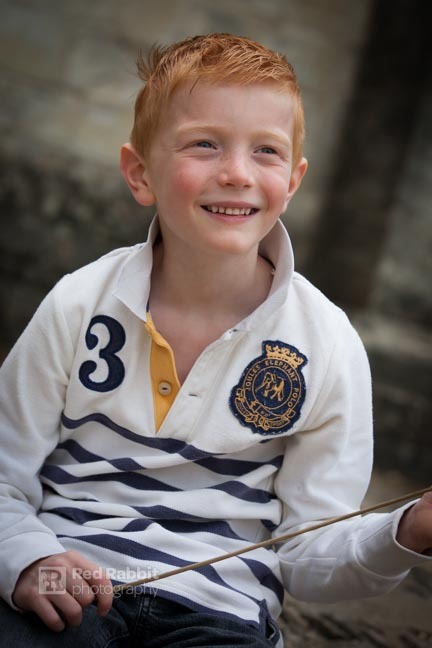 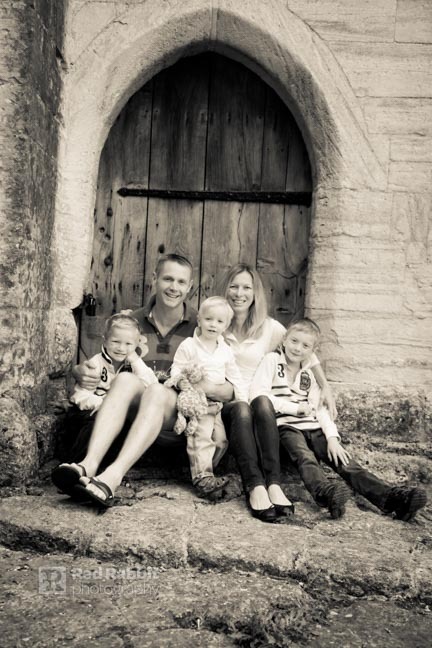 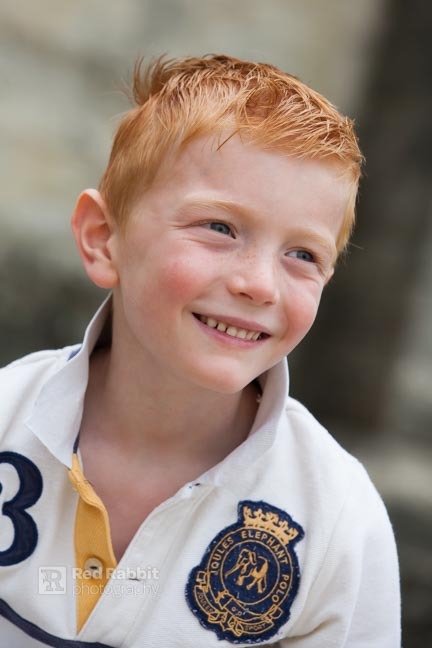 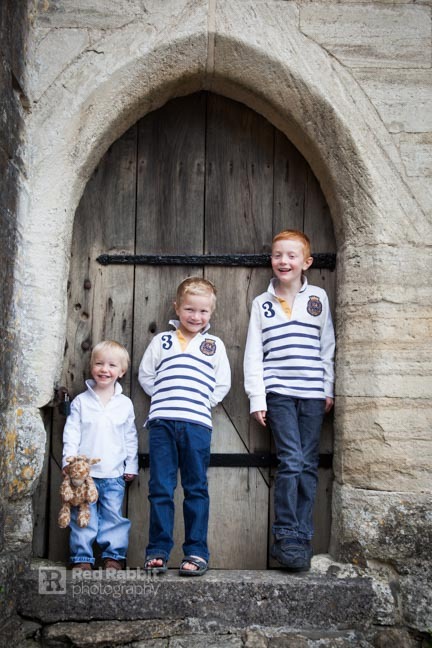 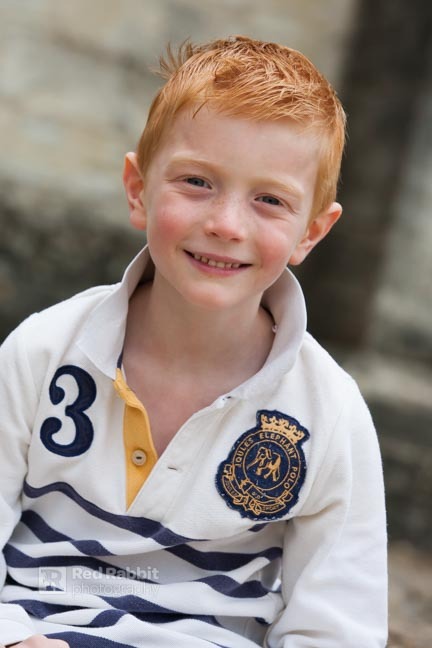 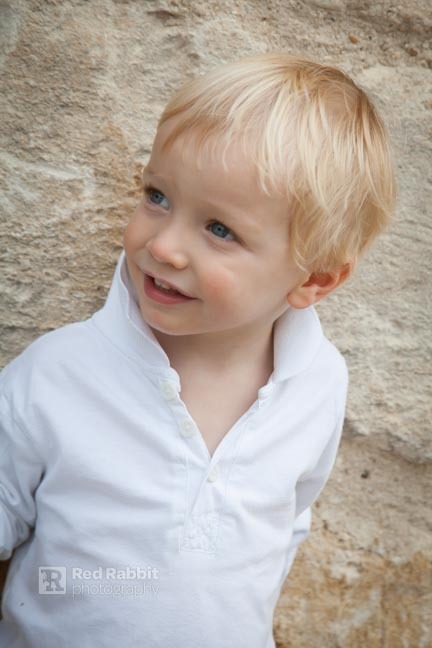 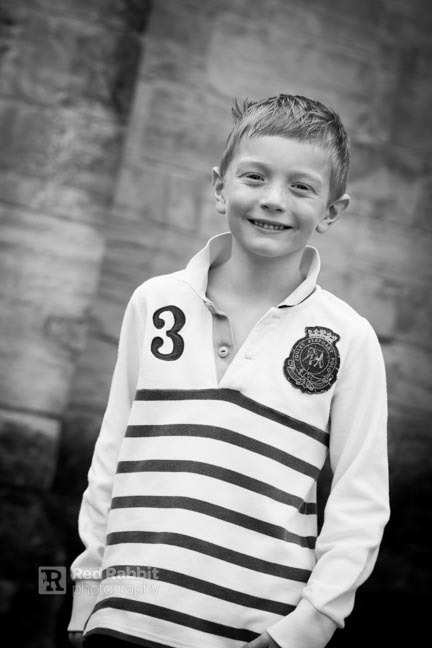 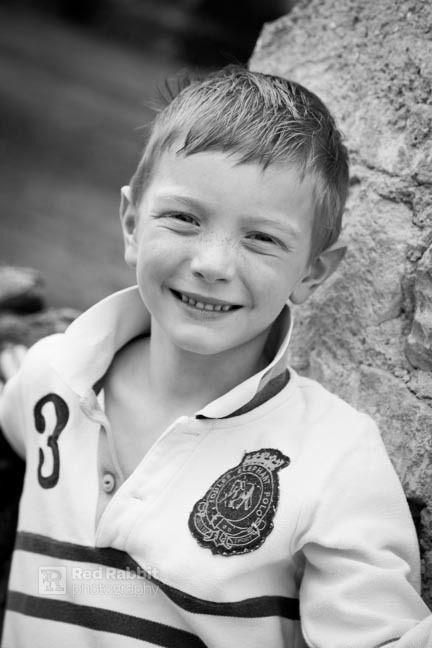 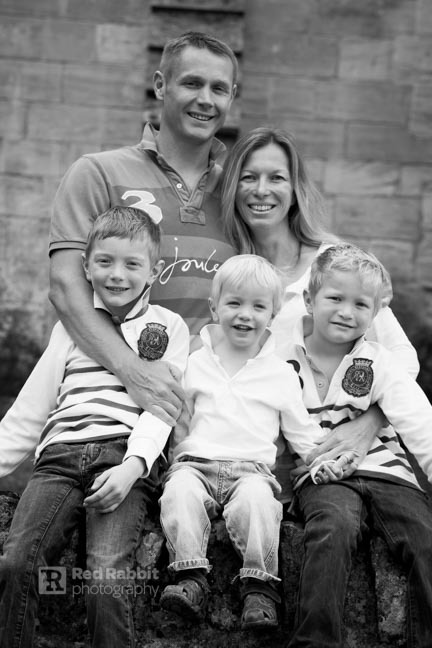 I love using the Tithe Barn In Bradford on Avon as it makes a fantastic backdrop for family photography. 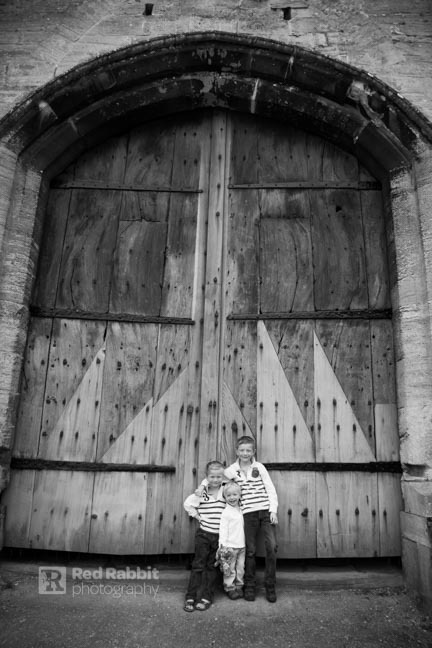 There are lots of interesting textures with the lovely stone walls and wooden doors of the old barn. 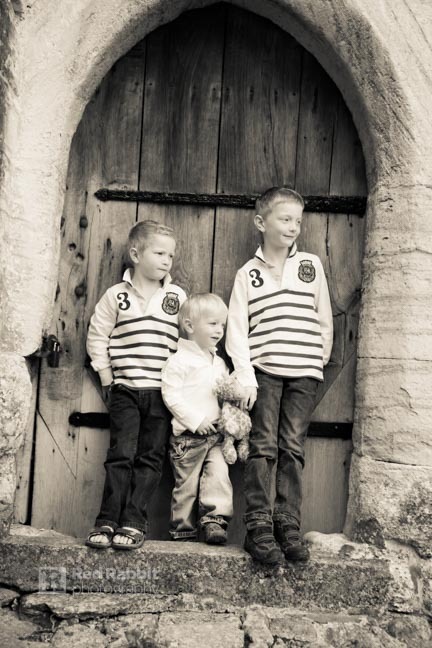 This type of location really lends itself to black and white and sepia photographs and gives some really unique family photographs that is a real step away from the formal studio styled family photography. 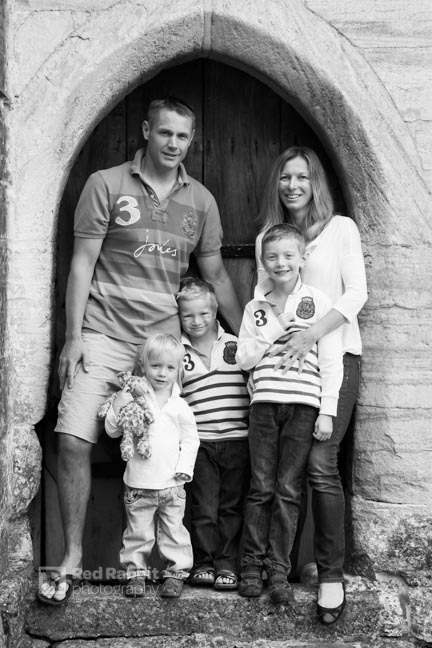 I got the whole family in for a few photographs and then we got out the bubbles so the boys could run and play and I was able to capture some more informal images of each of them individually. 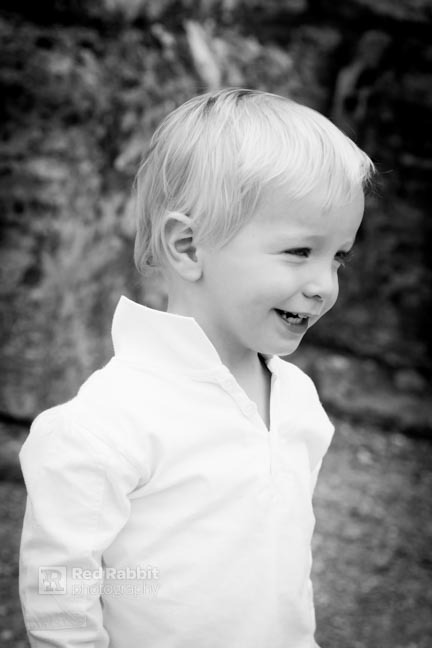 I also brought along some fun and silly props for the end of the shoot. 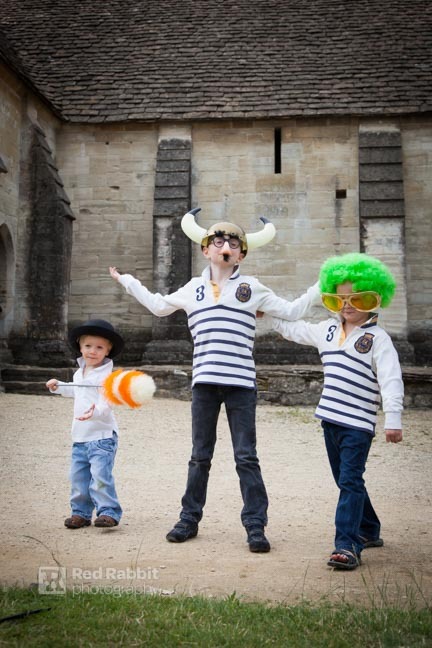 We had decided that we had got all the shots we needed when the boys started checking out what I had in my bag of tricks and proceeded to dress up! 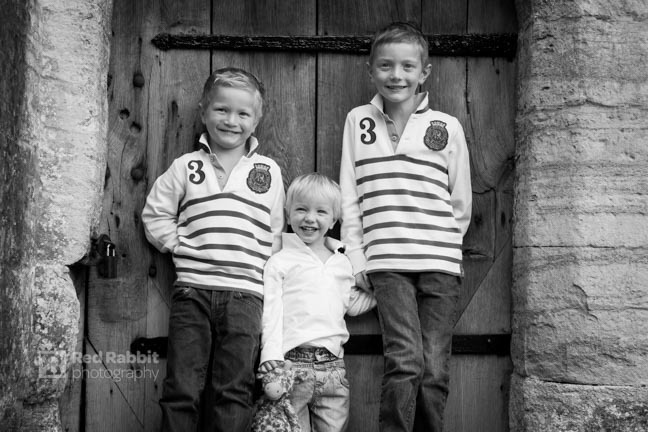 I love it when things like this are not forced and happen naturally and right at the end of the shoot we had the whole family in a Photo-Booth style prop for a fun last photo. 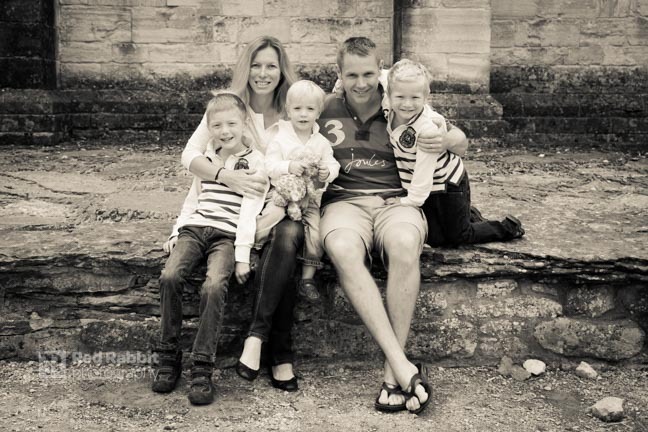 I’m so glad I got to meet this lovely family and hope they are pleased with their images, as I had such a fantastic time taking them!